If you are into Brazilian music, then don’t miss the opportunity to take a Brazilian percussion/Candomble music class that the International Capoeira Angola Foundation is organizing with renowned percussionist CABELLO. 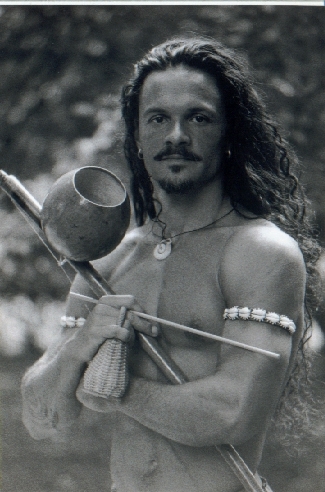 Cabello has been practicing Capoeira since the 1980’s. He is a professional capoeirista with 27 years of experience, and is a student and senior practitioner of the world famous capoeira Angola master Mestre João Grande. He studies Afro-Brazilian rhythms and dance as a disciple of Professora Emilia Biancardi and master drummer Jorge Alabê, and participates in Brazil at traditional gatherings ,encounters and spontaneous festivals, besides teaching and performing in Bahia,New York and abroad.